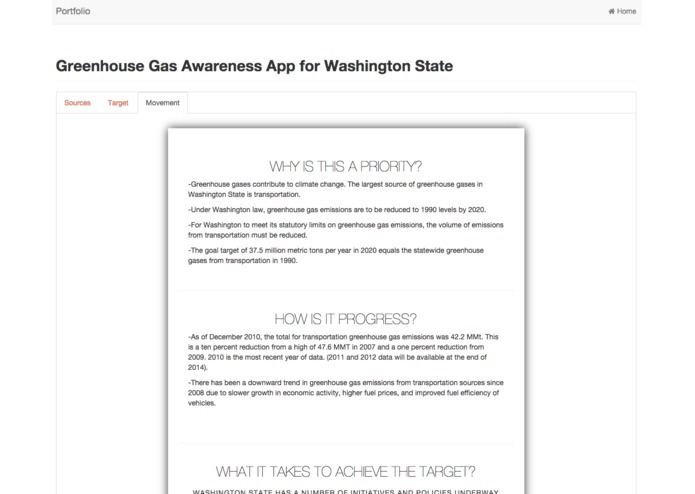 This web application serve as an awareness app to educate the users about the sources of Greenhouse Gas (GHG), target and movement from the Government in Washington State. 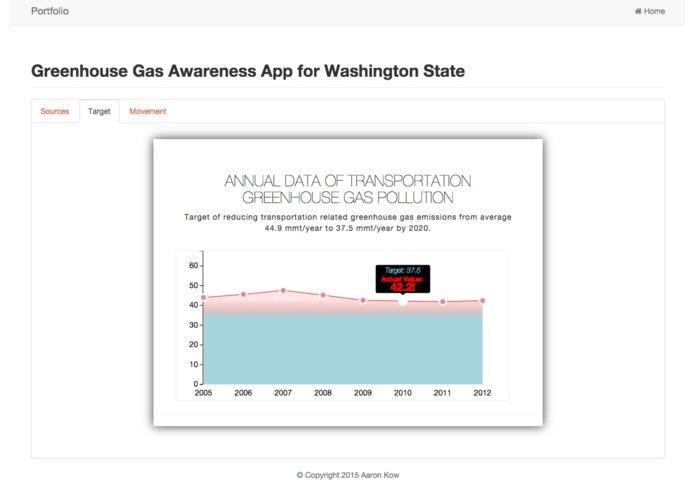 With the link given, once accessing the web app, users can directly monitor the sources of greenhouse gas pollution, which data are arranged according to year 2010, 2011 and 2012. When the mouse hovering to each of the bar, it will append the related information. By then, users will be educated that transportation is the major contributor for the GHG. 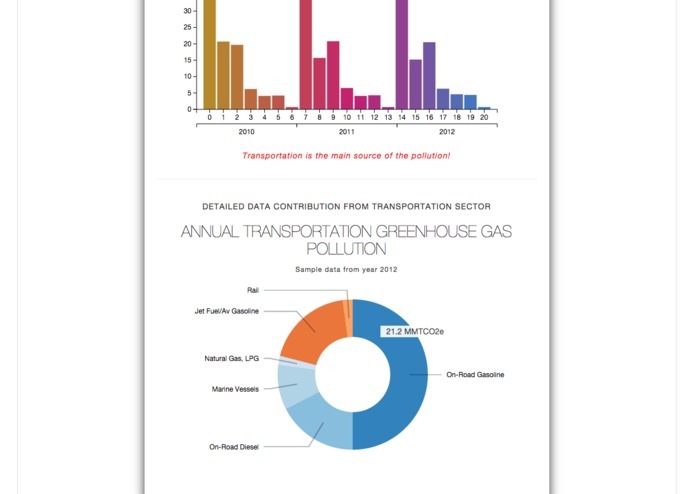 Then, users able to further analyse the breakdown values of transportation types that bring up the most in CO2 emission. 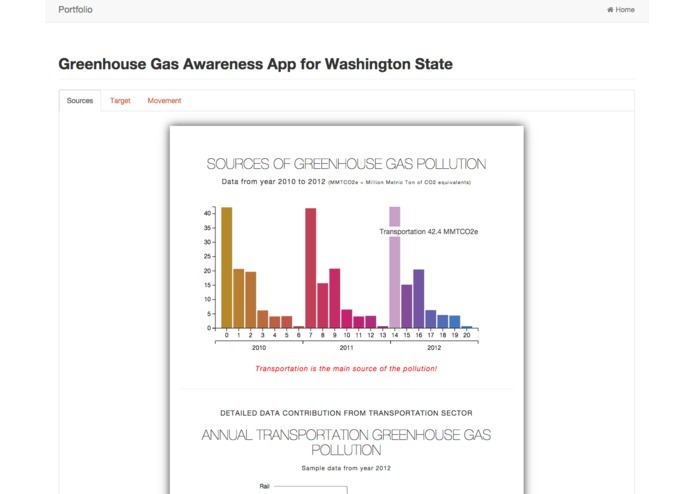 In the next tab 'target', users can keep track with the annual data of transportation in Greenhouse Gas pollution. Traceable year from 2005 till year 2012. Additionally, users can compare the actual data with the target data set by the Government in order to attain a sustainable & healthy environment for everyone (target is set to reduce the transportation related greenhouse gas emissions from average 44.9 mmt/year to 37.5 mmt/year by 2020). At the last tab 'movement', users can engage with the movement from the Government and if the users wished to understand more about the future activities, they can refer to the Government official website as linked at the bottom of the website. 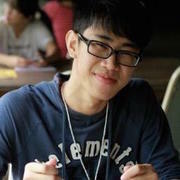 With my beginner experience about RESTful service to fetching the data from any API, I have faced a lot of difficulties how to get the data, read the data, parse the data, parse the data into proper roles. Not only that, to present the data in visual way (graph, bar, pie chart) really get me a lot of headache. I wish to mashup more datasets for this app to make it more interactive and useful.